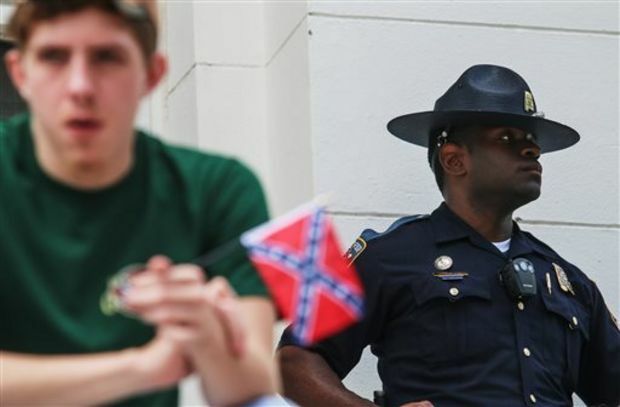 (AP) An Alabama chapter of the NAACP says it’s time to remove the Confederate battle flag from state troopers’ uniforms and patrol vehicles. Rev. Robert Shanklin of the NAACP’s Huntsville chapter told local media the flag is offensive and should not be included in uniforms state troopers wear or on the vehicles they drive. The battle flag is part of the Alabama state seal.